According to some news reports, the eruption of Merapi already took 12-15 fatalities. AFP reports "Twelve bodies were found by rescuers at a house near the volcano", the house of Merapi's gatekeeper Mbah Marijan who's believed to be in spiritual contact with Merapi and highly regarded by the local population. If this is true, a major pyroclastic flow has already been triggered by the new eruption. The VAAC Darwin reports ash reaching 60,000 ft (20 km) (!) in an advisory dated 19:45 GMT (26 Oct) and 30,000 ft (ca. 10 km) in a follow-up advisory at 19:50. 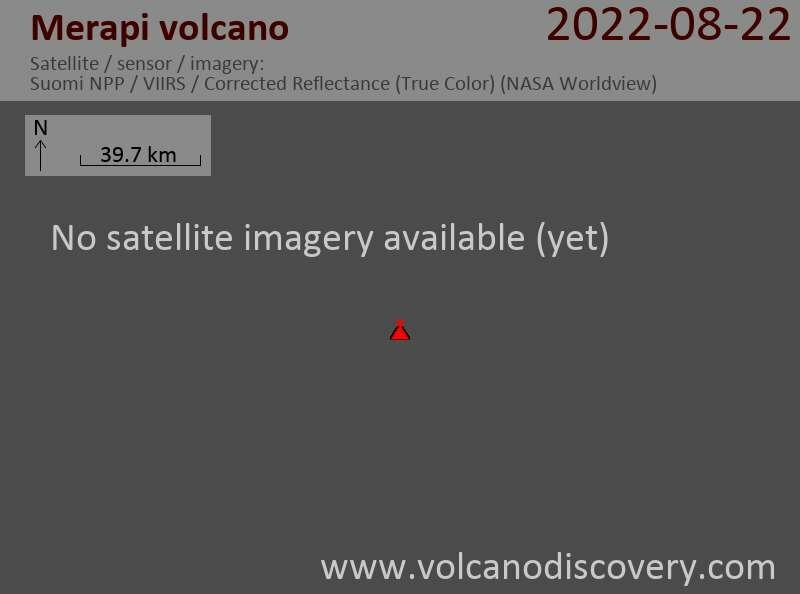 Most likely, the altitude of the eruption plume is not easily detecteable and may be overestimated. Local sources speak of heights around 1.5 km above the crater, i.e. ca. 4000 m a.s.l. or ca. 12,000 ft.